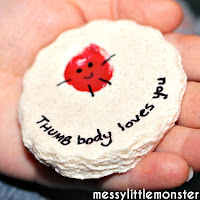 Clay is such a fun art material for kids to work with whatever their age. Today I have put together a collection of amazing clay craft ideas for kids. 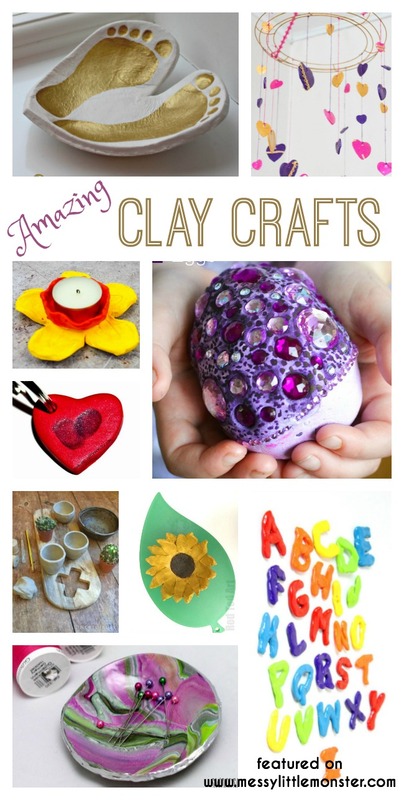 Preschoolers, school aged children and much much older kids will all enjoy using clay and working on these beautiful projects. 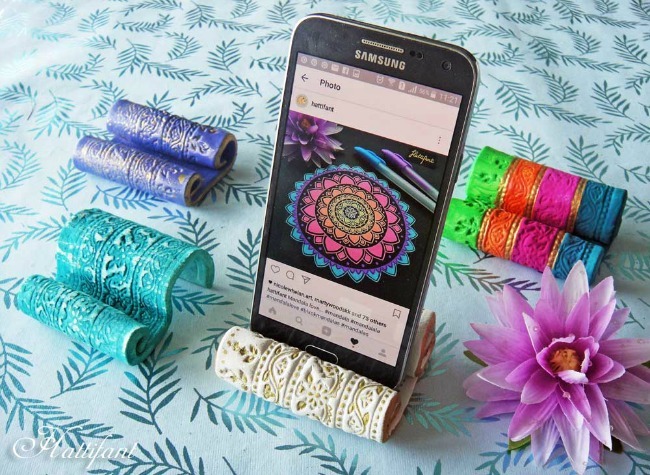 Many of these clay craft ideas would make stunning homemade gifts to be treasured. Are you looking for homemade gift ideas? 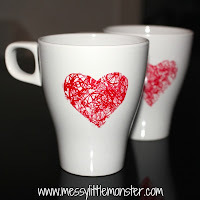 Take a look at our salt dough handprint bowl, DIY bird feeders and our heart scribble mugs. Scroll down and take a look at this collection of amazing clay crafts. Click on the links to read full instructions for each project. 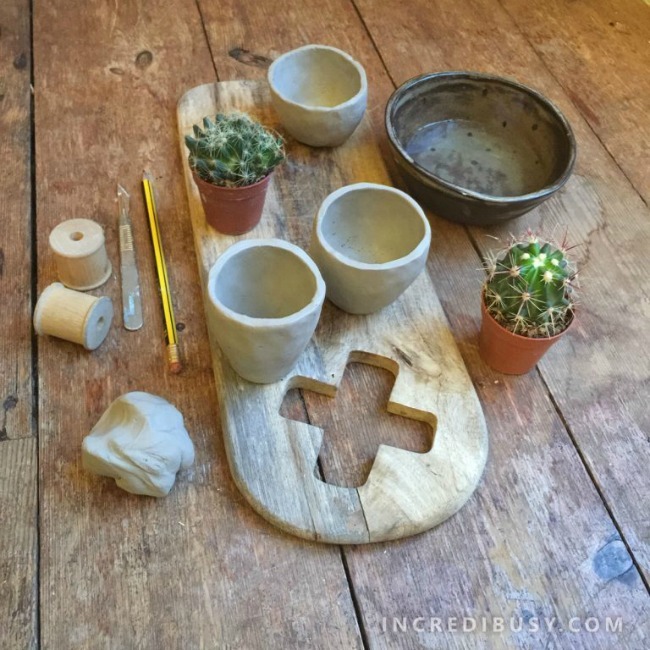 Air drying clay - (UK link / US link) is perfect for homemade projects big and small. You can achieve a high quality finish without having to fire your creations in a kiln. Air drying clay will harden in the air, it may take several days to fully dry depending on the size of your creation. If you are making a craft that is not going to be painted I would recommend using white air drying clay. Polymer clay - (UK link / US link) is great for smaller creations and detailed projects. It is easy to work with and comes in a huge variety of colours. It is hardened by firing it in a household oven. 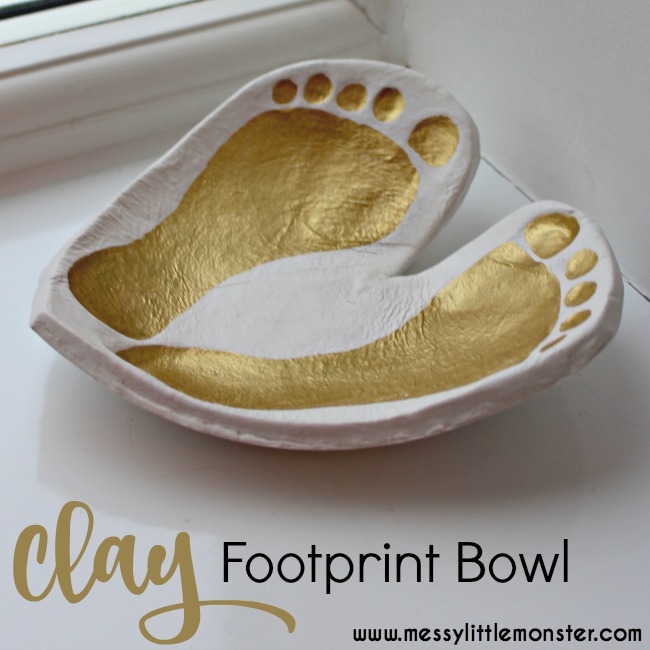 Who remembers making clay pinch pots as a child? These funky little pots are perfect to put little plants or treasures inside. 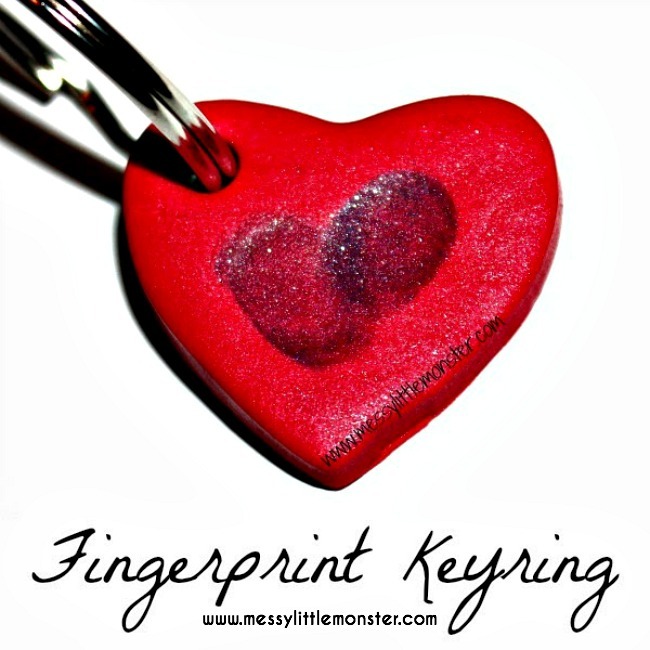 We totally love our keepsakes and I have fallen in love with our heart footprint bowl. 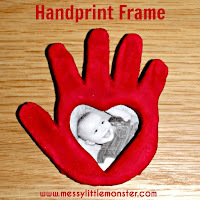 It is such a wonderful keepsake to remember how tiny the kids little feet really are. 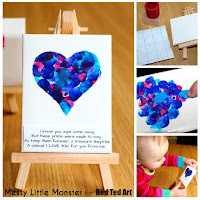 It would be so cute to make with a babies footprints! If you want to work on a smaller scale. These fingerprint heart keyrings are super cute. 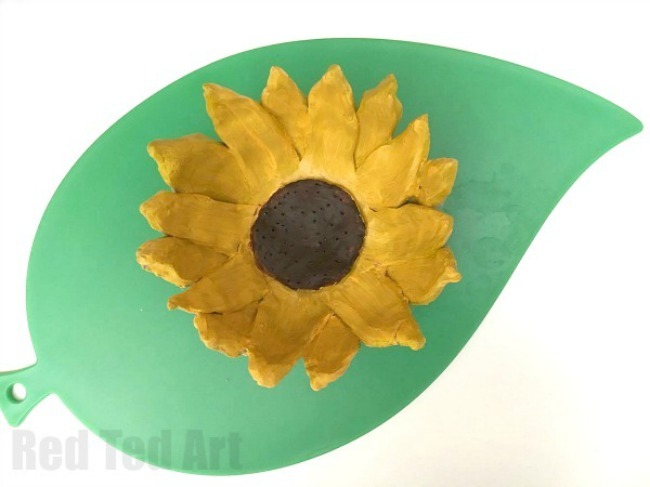 For slightly older children this sunflower clay bowl would make a really fun clay project. A flower bowl would make a lovely gift that an older child could make by themselves. 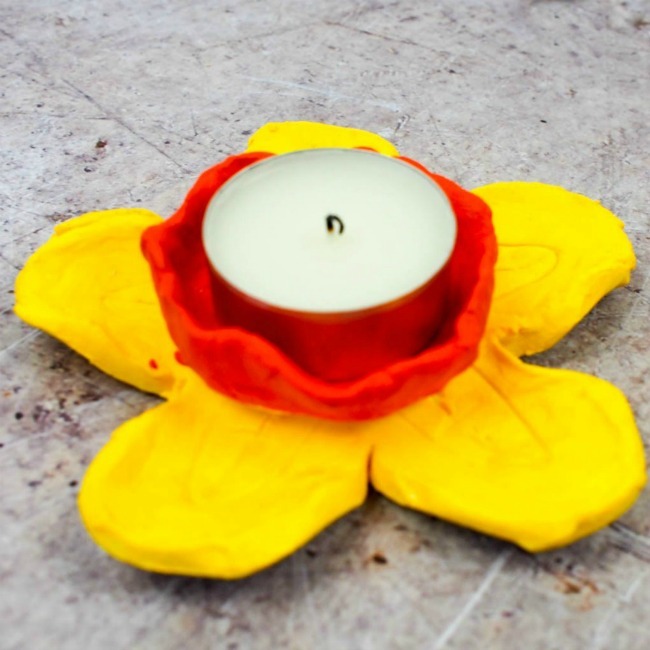 These daffodil candle holders would also make gorgeous homemade gifts. The middle of the daffodils can either hold a candle or be used as a cute little bowl! Wow! 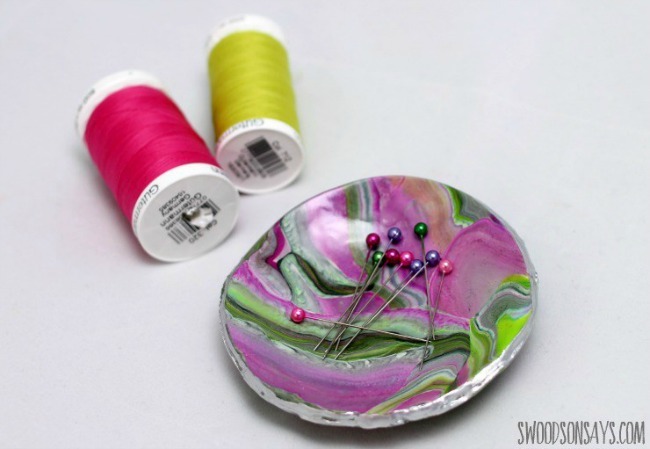 I am so impressed by these MAGNETIC pin bowls. 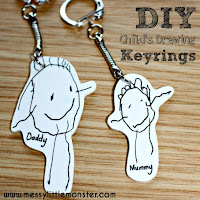 They are a lot simpler to make than you would think and look beautiful. What do you imagine dragon eggs would look like? 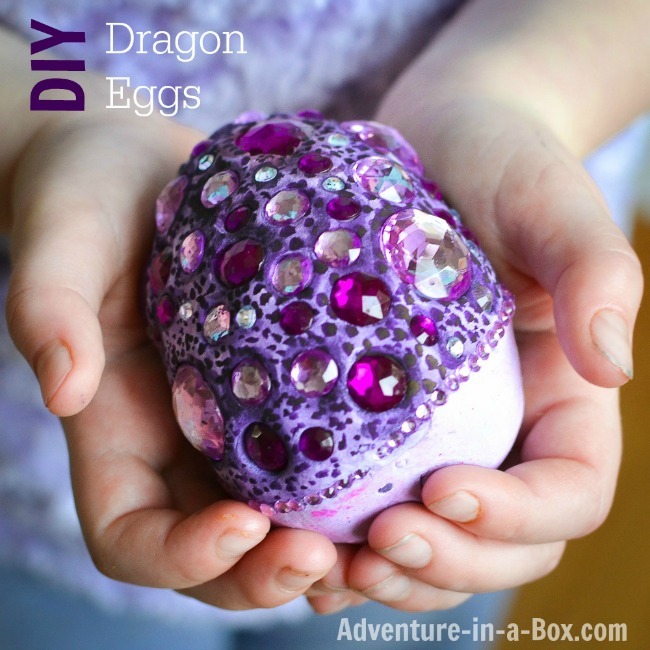 Kids will LOVE making these fantasy dragon eggs using clay and jewels. 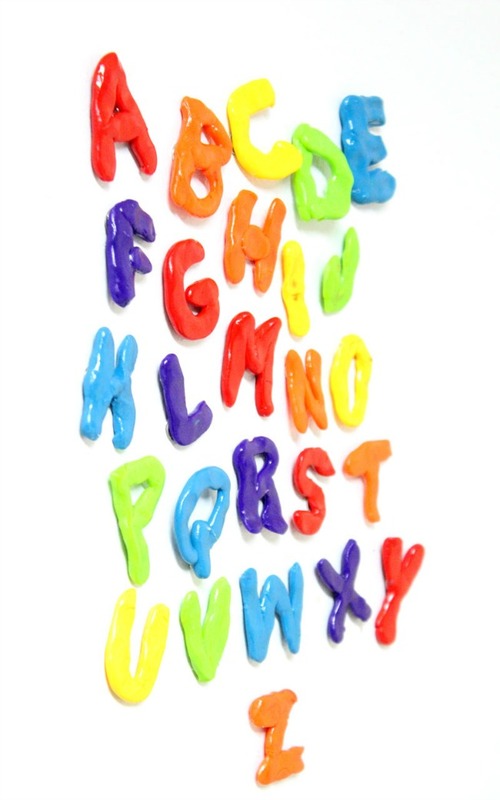 Brightly coloured alphabet magnets will give any metal surface a fun and playful look. Writing fun words and messages with them is a great learning experience for kids! 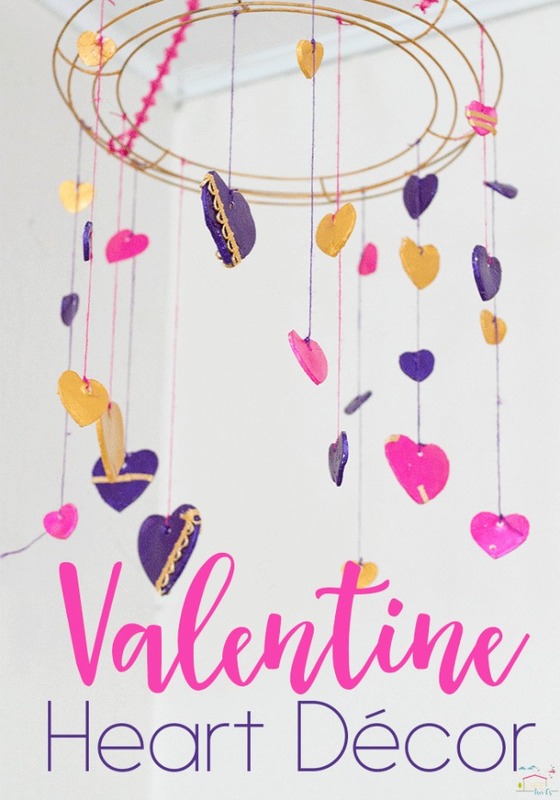 Making a hanging heart decoration would be great as a group project. Make and paint a few clay hearts each and string them together to make a stunning decoration. Ok, this one isn't really for kids, but i'm totally in love with the texture on these beautiful mobile phone holders. 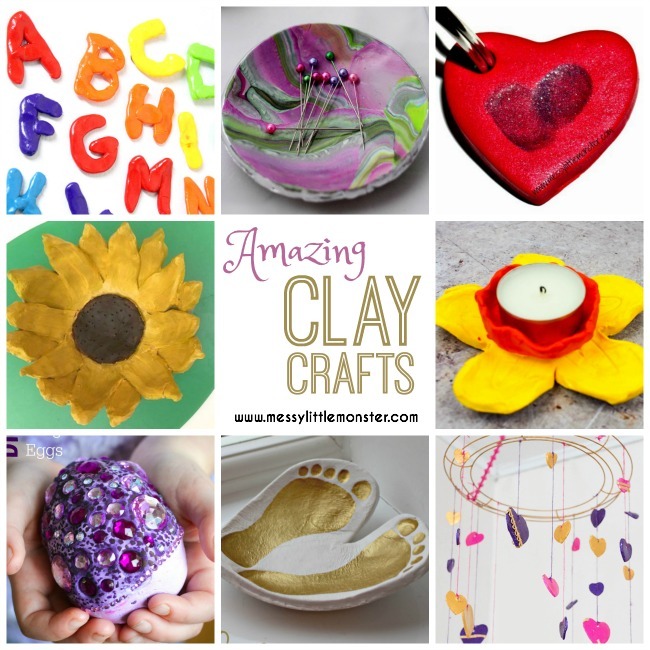 So which clay craft are you going to try first!? !